Young jazz guitarists Alex Ciavarelli and Rudy Marquez bring their exuberant energy, coupled with a guitar virtuosity beyond their years, to perform “The Life and Times of Django Reinhardt.” Regarded as one of the most influential musicians of the 20th century, Belgian jazz guitarist Reinhardt and the “gypsy jazz” music for which he is known, has inspired songwriters and performers worldwide. Marquez and Ciavarelli met while still undergraduates in the jazz studies program at San Diego State University. 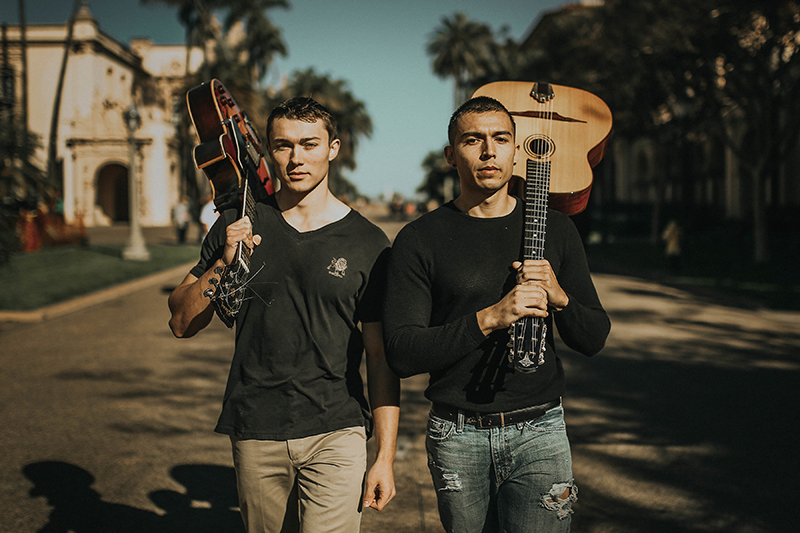 They have since brought their impressive skills to Django Vegas and the San Diego Gypsy Jazz Festival, as well as completed limited residencies in the Sonoma County Libraries and Green Valley Recreation in Arizona. They now bring their impressive skills to the Bothwell Arts Center for an exhilarating exploration of the late master’s legendary music.